Elías Krell is the featured artist of the evening & performs a set from 7:00-7:30pm sharp. 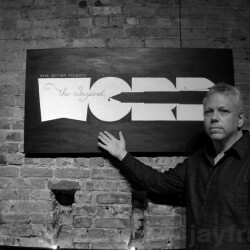 Founded by longtime journalist and former Village Voice columnist Mike Geffner, The Inspired Word began as strictly a poetry series in March 2009, and, less than a single year from its debut, drew upwards of 90 people to its Manhattan debut at the Greenwich Village club, (le) poisson rouge, in Jan. 2010, before quickly establishing itself as one of the hottest spoken word/poetry series in New York City. The Inspired Word has gone on to expand to music and comedy and feature the impressive likes of Golden Globe Award winning actress Jill Eikenberry, Golden Globe/Emmy nominated actress Amber Tamblyn, TV comedian John Fugelsang, prolific film/stage actor Taylor Negron, Grammy nominated singer Carolyn Malachi, American Idol finalist Anwar Robinson, Hollywood exec Eve Brandstein, award-winning crime novelist Marcus Sakey, and HBO Def Poetry stars Suheir Hammad, Oveous Maximus, Shihan, Patricia Smith, Lemon Andersen, Beau Sia, Regie Cabico. Also, with its ever-growing open mic (open to ALL types of artists – not just spoken word artists and poets, but musicians and comedians as well), the series has given voice to a slew of stunning emerging talent. In January of 2012, we were featured on the Travel Channel’s Hidden City; in March of 2013, we were featured on MTV‘s Washington Heights; and in July of 2013, were featured on the Style Network’s reality show City Girl Diaries. The Inspired Word has produced countless open mics, showcases, fundraisers for breast cancer and lupus research, inner city literacy, LGBT youth at risk, and a greener environment. It has also staged poetry, storytelling, and comedy slams, LGBT and Best American Poetry nights, and walked on the wild side with erotica and burlesque events. 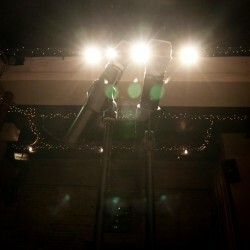 For additional info about our shows, please feel free to call (917) 703-1512. The vibe is addictive, the community supportive, and the nights always inspiring. The Inspired Word mission: to celebrate live performing arts (spoken word, poetry, music, comedy, storytelling) in New York City; to inspire creativity, action, and change through the arts; to tear down the walls separating us by finding unity through community. Bottom line, we are a family of artists.